My name is Emma. I am the photographer and creator behind Emli Photography. Yes, my real name is Emma and not Emli. The name Emli was created between my name (Em)ma and the love of my life, E(li)jah. 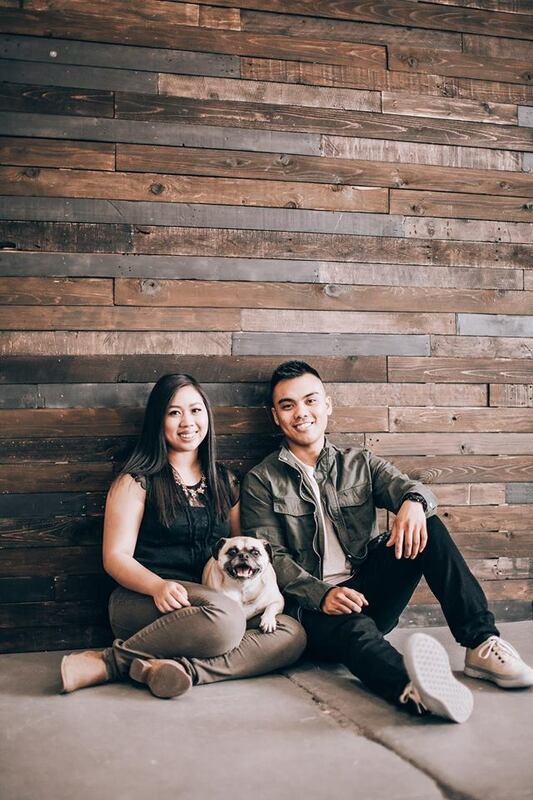 Together we have a happy overweight pug named Mannee. He is so adorable. I can't even. We love going on many adventures and exploring the outdoors. We find ourselves traveling way too often to Disneyland and visiting his family in the Bay Area. But, slowly we are crossing off places to go to on our bucket list. We enjoy being foodies. I seriously love creating content. Not sure how I "officially" starting doing photography but I knew that I wanted to capture love stories in a slightly dark, moody and natural way. I love seeing two people have this beautiful connection together that decide on forever. Ok, you might think I'm weird or whatever. That's ok. I hope you would share your love story with me and we can become friends!